Hi, I'm Erica! 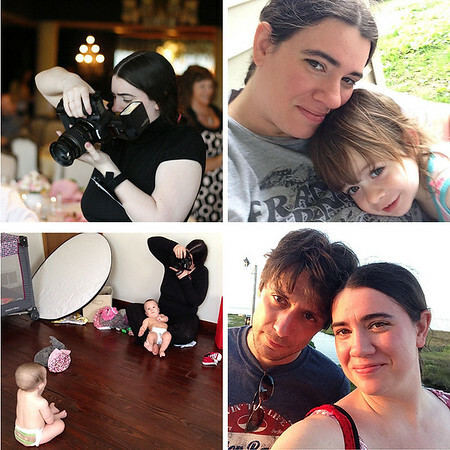 I'm a lighthearted mama and hobbyist photographer obsessed with animals, music and The Outer Banks of North Carolina. I worked in the photography industry for about 10 years, both independently and for businesses such as the General Jackson Showboat, a national portrait studio, and several years as the official photographer for the Eerie Horror Film Festival. I attended a small art college just outside of Nashville, TN in the mid aughts, and continued to improve upon those skills over the years. In 2013 I began the hardest job of all, welcoming my daughter Amelia into the world. This led not only to a hiatus of about three years, but a brand new outlook on child photography. Knowing what I loved as a mom made it easier for me to offer those same things to other parents looking for photographs of their children. I was born and raised in the Erie, PA region, and after living in both Nashville, TN and Pittsburgh, PA, I was excited to return home in the fall of 2014. In 2018 I decided to pull away from the client side of photography and focus more on doing photography for fun. I am no longer available for hire, but I wanted to maintain this website as a place to share photos that I am still taking as a hobbyist!